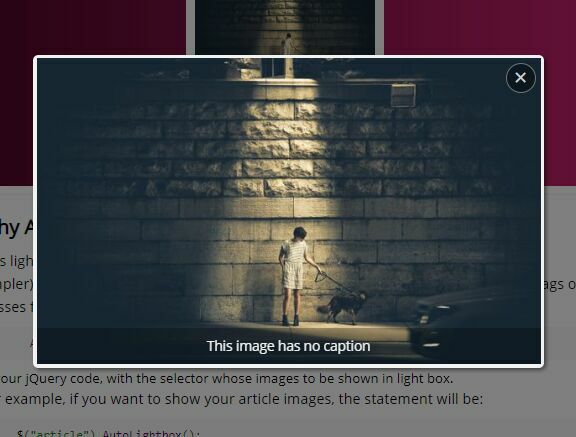 Download Free jQuery Modal, Popup, Gallery Lightbox and Image & Content Lightbox plugins at our jQuery Lightbox Section. Page 2 . 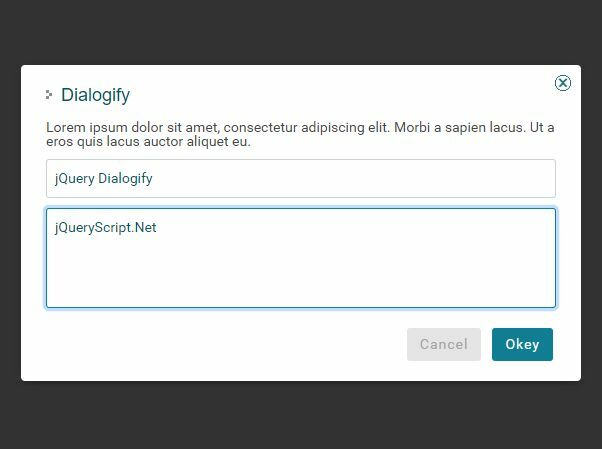 Dialogify is a jQuery plugin to create modern, customizable dialog/popup boxes and modal windows using the dialog element and HTMLDialogElement API. 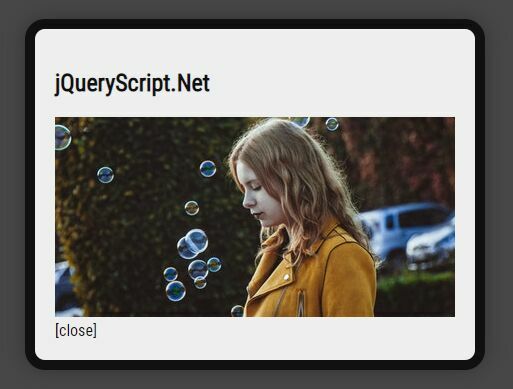 fs-gal is a small jQuery script used to display a group of images in a responsive, fullscreen, gallery-style modal popup with navigation capability. 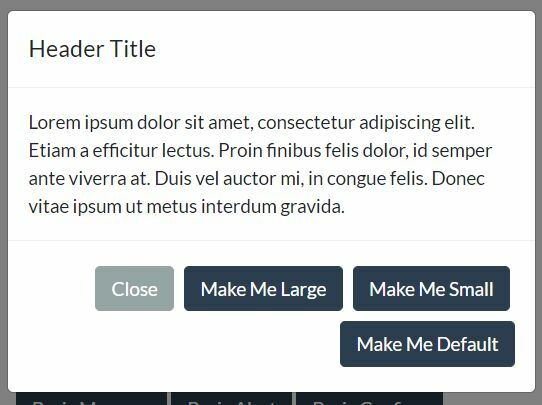 A simple, customizable, responsive jQuery popup plugin which can be used to overlay your inline content on the top of the current page. 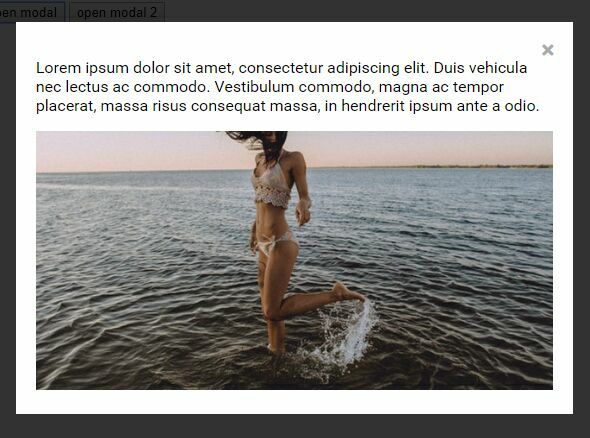 miniModal is a lightweight, easy-to-use, cross-browser jQuery modal plugin which loads HTML content in the DOM into a modal overlay when triggered. 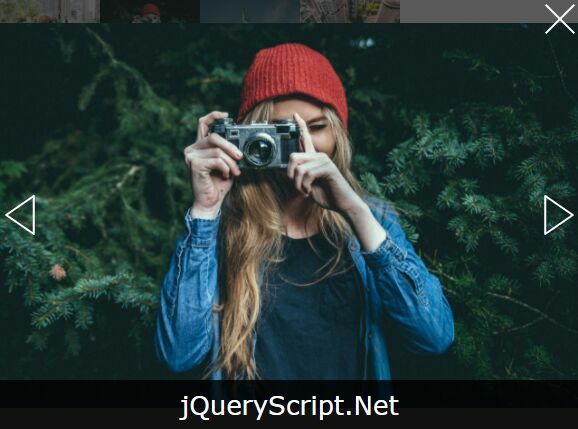 A lightweight (~2.15kb minified and gzipped) yet customizable and powerful jQuery popup plugin created for images, AJAX contents, HTML elements, Youtube videos, image galleries and much more. 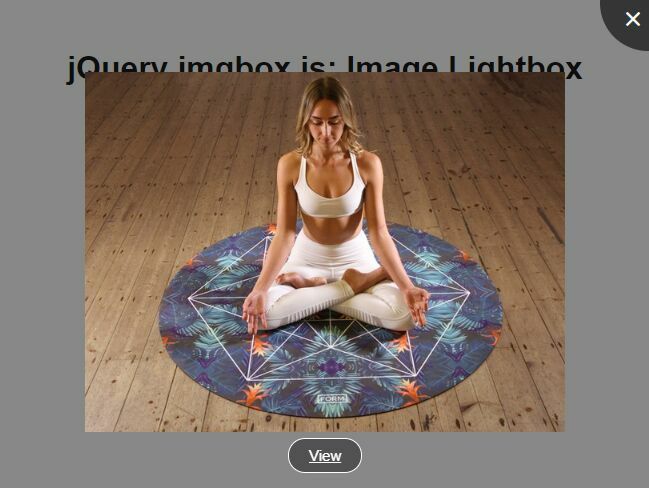 imgbox.js is a simple, lightweight jQuery image lightbox plugin that allows the user to zoom and drag the enlarged version of the image. 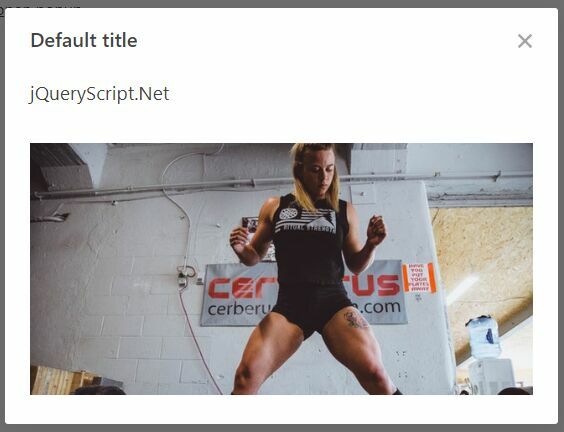 eModal is a jQuery modal popup plugin that makes it easy to display Ajax content and alert/confirm/prompt dialog boxes using Bootstrap modal component. 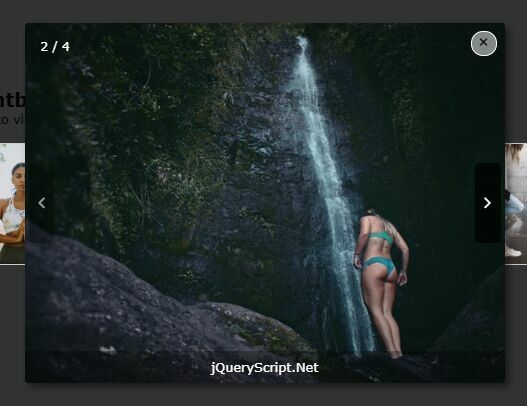 KBmodal is a fully responsive modal plugin for jQuery that displays images, galleries, Youtube videos, and even HTML contents in a popup overlay. 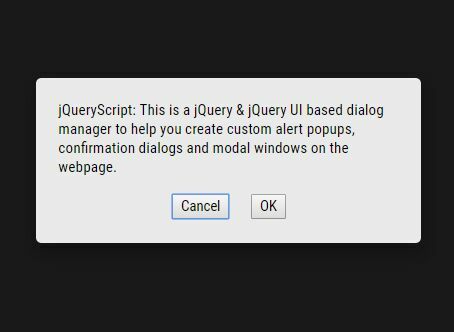 DynModal is an easy-to-use jQuery plugin used to dynamically generate programmatic alert/confirm/prompt dialog boxes using Bootstrap 4 modal component. 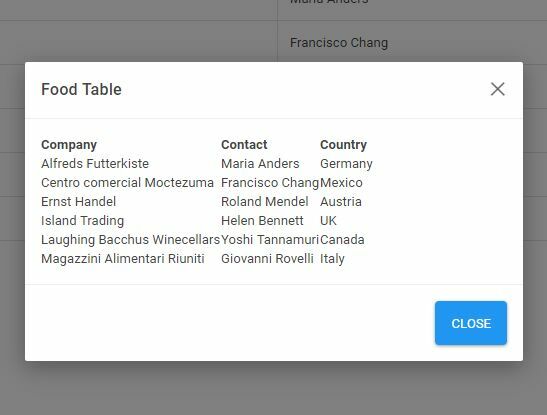 Inspired by the jQuery Bootbox plugin. 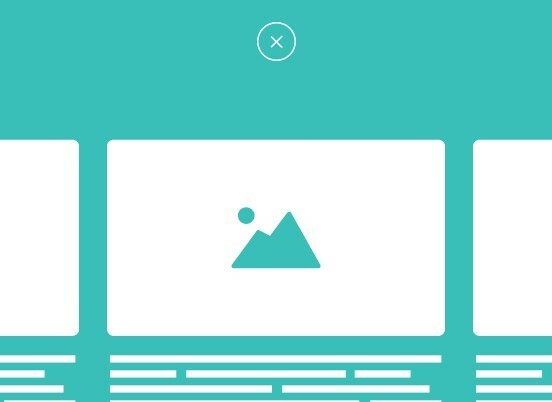 Zoomify is an extremely simple-to-use jQuery image zoom plugin that enables you to display the full size images in a fullscreen, responsive modal popup.